Color - White. The seal is extremely strong, retains its strength above or below the water line. 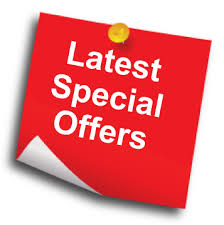 Stays flexible too - allows for structural movement. 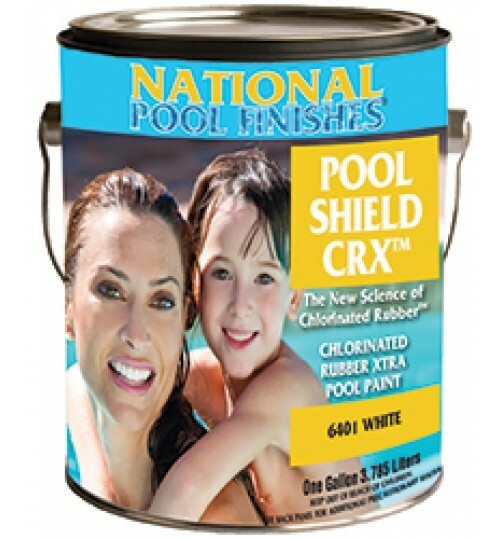 Has excellent resistance to weathering and salt water. Stress caused by shock, vibration, swelling or shrinking is effectively absorbed. 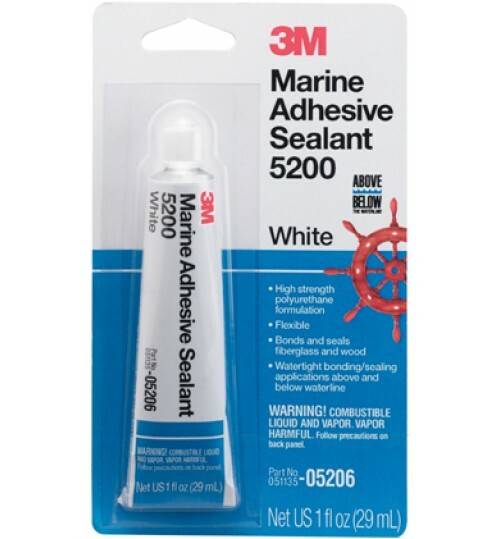 Check the bonding and sealing jobs this product can handle for you: fiberglass deck to fiberglass hull, wood to fiberglass, portholes and deck fittings, motors on fiberglass transoms, under mouldings, hull seams above and below water line. Center board trunk joints. Between struts and planking. Stern joints. Deck housing, etc. 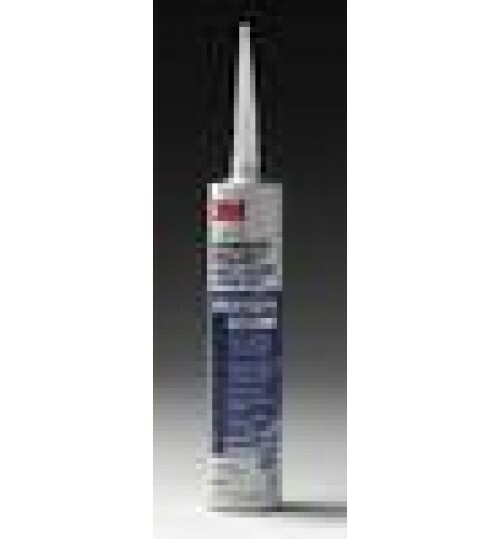 Easy to apply with manual caulking gun. 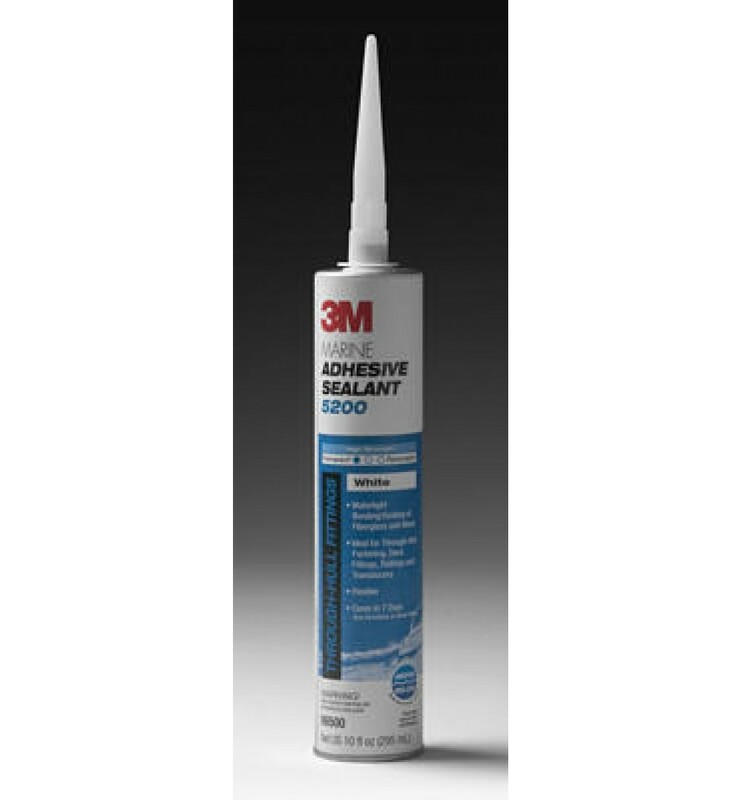 Remains workable with trowel or spatula up to four hours after application. Won't sag or flow in vertical or horizontal seams. 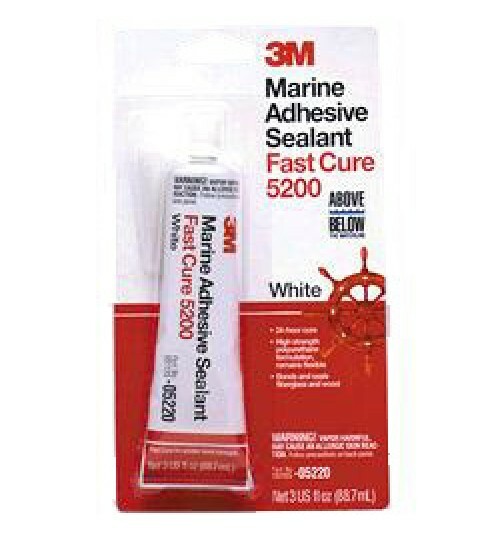 3M Marine Adhesive/Sealant Fast Cure 5200, 05220, White, 3 oz.